It's well known that money is a significant factor in a grand prix team's success, but what happens when there is very little of it to design and develop the car? Formula 1 has changed almost beyond recognition since March pitched up to the 1970 South African Grand Prix with five Robin Herd-penned 701s. Each cost £6000 - later upped to £9k after a friendly word of advice from Ford's Walter Hayes - and the car claimed pole and a podium on its debut, a mere matter of months after the company had been set up with just £10,000 put in by its four founding members. Despite frequent attempts to cut costs by implementing test bans, along with ever-tighter restrictions on CFD and windtunnel usage, there remains a gulf between the haves and have-nots in F1. This inequality appears desperately unlikely to change anytime soon, despite Liberty Media's best intentions. The oft-mooted cost cap is no nearer to fruition than it was a decade ago, when the possibility of a £40million limit being imposed on teams prompted political chaos, including the possibility of a breakaway championship. While Mercedes spent over £300m - not including its engine division at Brixworth - to win the 2017 world title, fourth-placed Force India required a mid-season buy-out in '18 to survive the campaign. In the face of this, the way F1 teams approach their car design is changing. Contrary to the old model of designing everything in-house - ancillary components such as brake pedals included - Haas pioneered a new agreement with Ferrari in 2016, which has subsequently been copied by Red Bull junior team Toro Rosso, to purchase as many non-listed parts as are permitted by the regulations. 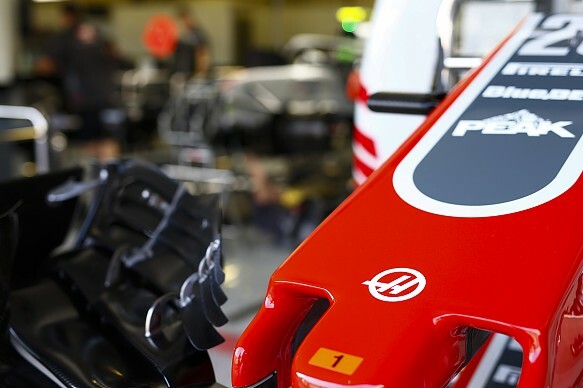 Haas then sub-contracts to Dallara the manufacturing of the monocoque, roll structures and major bodywork - which includes the wings, floor and diffuser - to further reduce overheads. But amid this shift, the engineering challenge of producing the best car possible within financial restraints remains fundamentally the same. As Toyota discovered, success in F1 can't simply be bought. No amount of financial muscle is likely to turn McLaren's recent fortunes around overnight. At heart, it remains an ideas game in which the team's budget simply dictates the extent to which these ideas are turned into reality - as former Prost technical director Henri Durand explains. "The bottom line is the budget determines the number of people you have and the equipment you have," he says. "You have a certain amount of time between starting the development of the car and freezing the design for production, and the budget determines how much you can cram into that time because of the number of people. "At that time [when he joined Prost], people were starting to do two shifts in the tunnel. Essentially the difference between a small budget and a big budget was the number of shifts in the tunnel, the number of designers in the aero group and in the composite group who produced the design in the minimum amount of time. It's determined by the [number of] people, multiplied by the skills of the people." 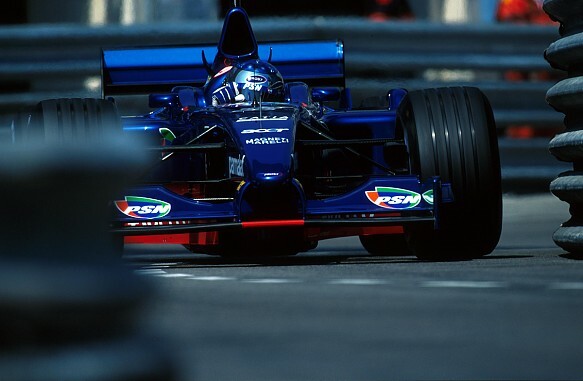 Durand arrived at Prost from McLaren in January 2001, too late to impact the design of Jean-Paul Gousset's AP04, which had a Ferrari engine, transmission and rear suspension (optimised for Bridgestone tyres, not the Michelins Prost was using). Durand prioritised work on the rear end and underfloor, introducing a "fairly drastic" development package for round seven in Monaco. 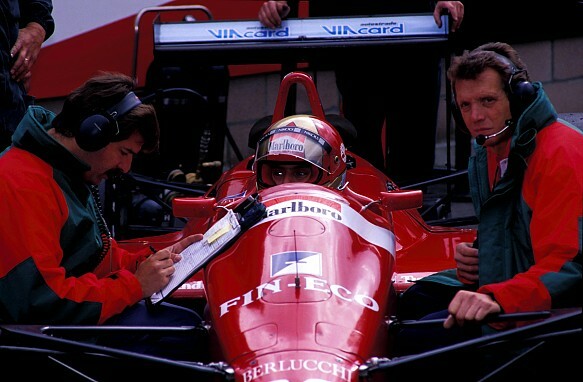 This brought Prost's best results of the year, with Jean Alesi taking sixth and then a fifth in the next race in Canada, although it wasn't enough to save the team from bankruptcy. "That was something that we started right away, although it took us a few races to put it on the track," says Durand, who now works in NASCAR with Toyota Racing Development. "With a bigger budget, it would have taken us less time to put it on the car. We looked at it from a perspective where you have a certain number of tools in your toolbox and your opponent has more tools. If everyone had the same, it would be a lot of fun." Although the quality of research facilities such as the windtunnel is inevitably a contributing factor to the prospects of an F1 car, it's how these tools are managed that can make the bigger difference. 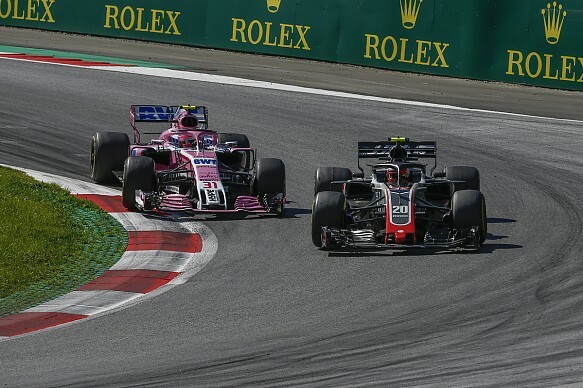 Racing Point team principal Otmar Szafnauer has said as much himself, identifying the technical group led by Andy Green - and not an infrastructure he deemed "substandard compared with our competitors" - as the team's formerly known as Force India's core strength. In 2018, the team finished seventh in the constructors' standings despite cashflow problems that meant it started the year with carry-over parts, was unable to build upgrades and, as a consequence of the mid-season buy-out, lost all the points it had accrued prior to Spa. For George Ryton, who left Ferrari to head up the Basingstoke HQ of the tiny EuroBrun team in 1989, working on a shoestring budget could be a "thankless task" that required a "taskmaster" to get things done. 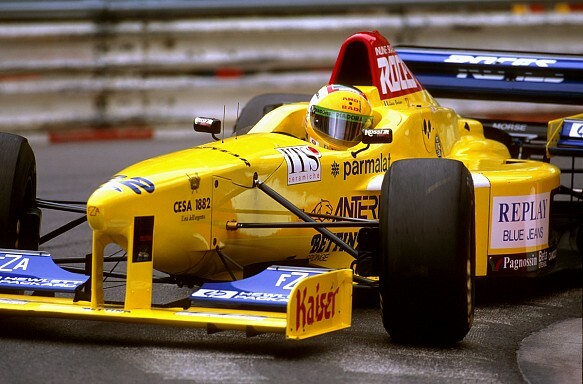 Although Roberto Moreno miraculously qualified for two early season races with Ryton's ER189B in '90, he was unable to get it into the points and the team was closed at season's end. Ryton would go on to hold key roles at Tyrrell, Forti, Prost and Minardi, where the importance of effective management became clearer still. "At Ferrari, you could delegate lots of things so you could move onto more conceptual elements," he says. "The quality of what you could do and the time you could do it in was accelerated. With other teams, you had to do almost all of it yourself - from layout to drawings to organising the manufacturing. "You've really got to be strong and control what you're trying to achieve. Part of getting things done quickly and cheaply is to have people do what they're supposed to do and not waste their time." But a design team can't do anything without first knowing what budget it has to work with. That means being involved in discussions at an early stage, agreeing a figure and sticking to it. Sergio Rinland, who counts spells at Williams, RAM, Brabham, Scuderia Italia, Fondmetal, Benetton, Sauber and Arrows on his lengthy CV, says the most crucial elements when working with limited funds are transparency and planning. "You decide your budget, know how much money you have and what technology you can use - those are your limitations," he says. "You don't start building the car and see how much money you spend. You've got to know beforehand how much it'll all cost." As Rinland explains, this requires a healthy dose of pragmatism to decide how to get the best return on money spent. When he landed the job of chief designer at the new BMS Scuderia Italia team for 1988, the Argentinian plumped for a long wheelbase design on the team's single F188 to accommodate the long radiators of the customer Ford V8. Although Alex Caffi failed to score points, Rinland (below, left) maintains that it hit the key criteria given the funds available. "When you're working for a small team, you have to say 'Where do we want to perform?'" he says. "You can't perform everywhere with a small team, you have to say, 'I want to perform well at Monza or Monaco, or Spa', and if you can perform well at Spa, you can do well at Silverstone or Barcelona as well. "You have to make those decisions because you don't have three or four variations of bodywork, you have maybe two front and rear wings, so you have to decide where to put those efforts. "You need to look at the car holistically. You have an engine, you have a cooling requirement from the engine as well as a power requirement and a torque requirement from the gearbox, so everything in the design has to be homogeneous with what you have - the resources and the power you have." But it's not every designer who is willing to make the necessary compromises to fall within the budget. Former Zakspeed, Larrousse and Team Lotus pensmith Chris Murphy fondly recalls working with Gustav Brunner at cash-strapped Leyton House in 1991 - "talk about confidence" - but found working with the gifted Austrian wasn't always plain sailing. "He could lift [small teams] with a great design, the question was always, 'Could they afford to build it?'" says Murphy. "That's the difference that a designer who is prepared to compromise and adapt to the circumstances can make. It wouldn't be any good putting somebody in from Williams or McLaren because they would probably design a car that the team wasn't capable of building." Murphy joined Leyton House after a spell at Lola as chief designer and project leader for Larrousse. 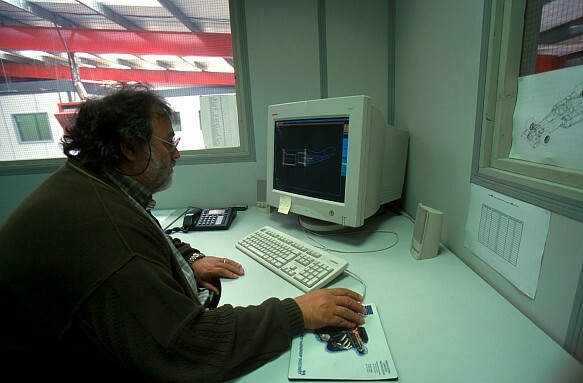 There he called upon his experience working as one of seven employees at the Formula 2 constructor Maurer - "I was race mechanic, composite laminator, I ran the stores, I was car assembler, draughtsman and workshop coordinator, all simultaneously" - to utilise pre-existing parts and free up design capacity to focus on the aero surfaces. Parts-bin special it may have been, but Murphy sees no problem in that - especially when Aguri Suzuki became the first Japanese driver ever to score a podium at Suzuka in 1990. "There was no point in machining a new part that does the same job as something that already exists," he says. "I'd always be able to come up with solutions that fitted the circumstances, and that's not just design criteria, that's budget, resource - how many people we've got to design this and build it - and timeframe, which is invariably shorter with a little team because you're doing everything at the last minute." He had discovered the limits and perils of lotfy aspiration the hard way at the "super-ambitious" Zakspeed outfit, which bit off more than it could chew when it joined Ferrari and Renault in attempting to build its own chassis and engine in 1985. The Norbert Kreyer-designed four-cylinder turbo was heavy, unreliable and a drain on the budget, although Martin Brundle managed a fifth at Imola in 1987. "I couldn't say that we got that right at the time," admits Murphy. "We were up against it because it was a massive project for the number of people we had, but we did alright. Not surprisingly we were nearer the back than the front." Having a bigger budget and more skilled staff to utilise doesn't make teams immune to problems, as Rinland discovered at Benetton when attempts to introduce a front-mounted differential in 1999 proved disastrous. But it does mean that those teams have a greater capacity to recover from such missteps. Without the same financial safety net, it could be easy for budget teams to fall into the trap of following convention. But Ryton (below) argues that this should be avoided, even if the risks involved are higher. Pursuing an edge doesn't have to be contradictory to pragmatism, especially when there is an in-house asset available. "Without spending a lot of money and with the right ideas, you can make huge gains by looking at things laterally," Ryton says. "Don't copy what people have done before, look at the basic problem and see if there is a more state-of-the-art solution." That's not to say that this path will always be rewarded, with the failure of Team Lotus's active suspension programme a case in point. After finishing fifth in the constructors' standings in 1992, the squad looked to utilise the expertise of Peter Wright and his group at Lotus Engineering to introduce fully predictive active suspension for '93. But it only worked intermittently and the FIA banned the technology at the end of the season, leaving Lotus in a financial hole from which it never escaped. Yet this was an entirely understandable course of development. The team's customer Ford V8 engine was lacking grunt relative to the works unit powering the Benetton, it was still reliant on a quarter-scale windtunnel for its aerodynamics and, as Murphy points out, Lotus didn't have the benefit of hindsight. "We didn't know that at the time and it's easy to look clever in retrospect. We thought it was going to be a fairly big launchpad for us," he says. "We would be able to run and run with it - we didn't know it was going to get banned. That was a major setback for us because we had put a lot of resource into it, and that set us back on other aspects of the car, on normal mechanical design." Rinland's Sauber C20 showed how it could be done. Although he had left the Hinwil team to join Arrows by the time it saw daylight in 2001, his twin-keel suspension dramatically improved airflow under the car, while the introduction of full carbon suspension and titanium uprights contributed to the C20 being 60kg lighter than its predecessor. This in turn allowed the team to direct ballast forwards to optimise the front tyres and elevated Sauber to the giddy height of fourth in the constructors' table. 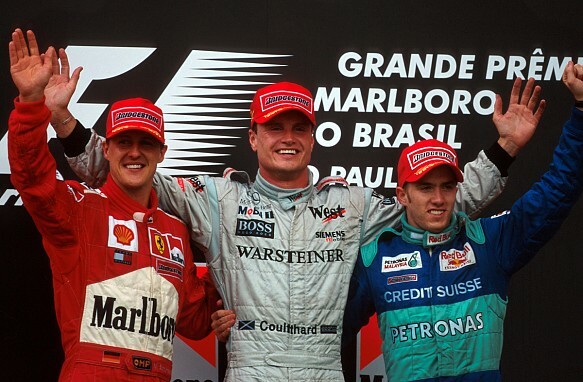 Its haul of 21 points, including a podium for Nick Heidfeld in Brazil, equalled the sum of its previous three seasons combined. "The regulations today are a lot more restrictive to those kinds of ideas," he says. "The rules tell you where you can and can't put components, so it's more difficult, but you still have people like Force India who are punching above their weight. They created a car that has good ideas in it." "When you're copying everybody else, you will never be able to beat them," says Ryton. "You have to be able to lead to win. And you don't have to have a lot of money to lead, you can come up with things that make cars faster that don't cost a lot of money if you go back to the raw principles of stiffness and lightness." Lotus founder Colin Chapman is revered for championing those principles, but he didn't get everything right. 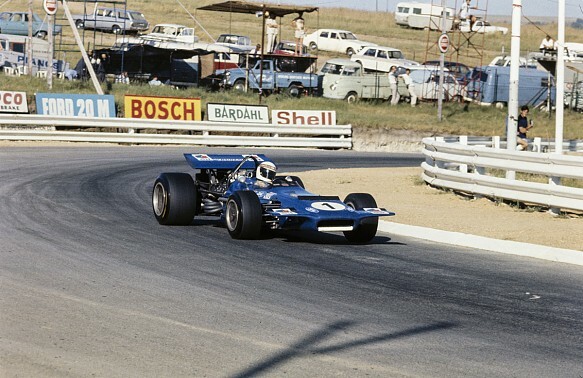 In his book, Inspired to Design, Nigel Bennett reveals that Chapman once summarily fired 10 Lotus employees when he discovered that Tyrrell only had 35 staff. All this served to accomplish was to leave the fabrication department overworked and understaffed. 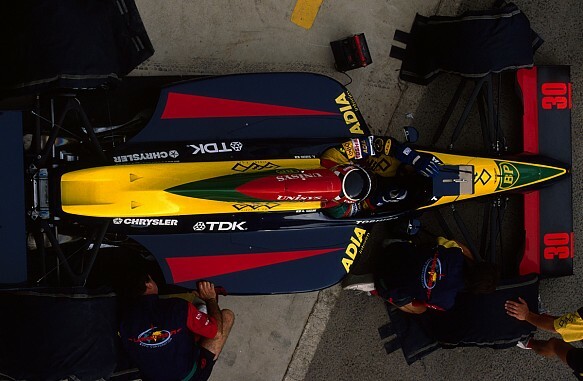 Designing F1 cars on a budget demands the careful shepherding of human resources as well as innovative ideas.